Takata Drift Series Harnesses UNIVERSAL - White Smoke Motorsports LLC - "The Future of Performance"
The Takata DRIFT Series of belts, manufactured by Takata Racing in Germany, are uniquely designed for safe installation in passenger cars with factory seats. The belts meet both FMVSS (US) & ECE (European) standards for “Street Legal” use. Both belts incorporate Takata ASM® technology and bendable stainless steel mounting hardware allowing installation to factory seat belt mounting points without effecting the operation of factory seat belts. 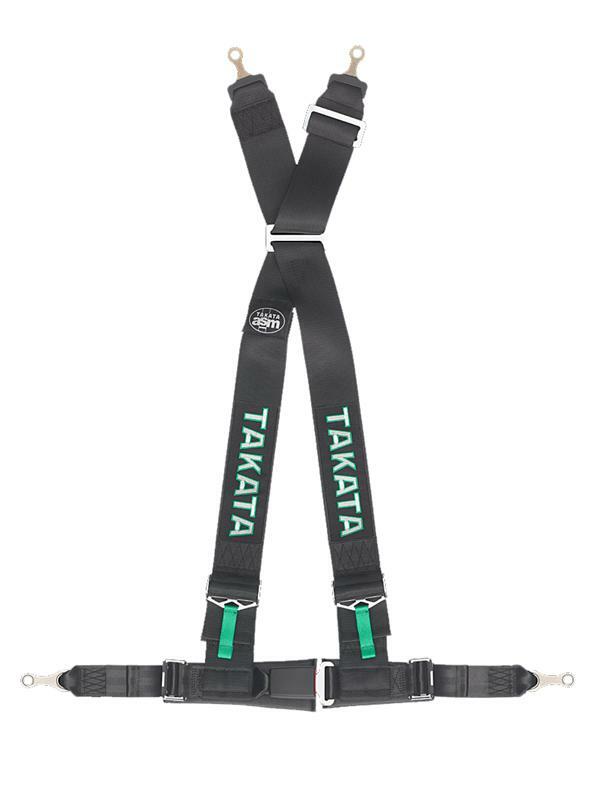 Takata DRIFT belts set new standard style and safety of aftermarket, Street Legal belts. DRIFT belts come in both Takata Green and Black to match any interior scheme with style! DRIFT belts should only be used with seats that have a “pass-through” for the shoulder harnesses such as a stock seat with an adjustable up and down headrest or a race type seat with openings for the shoulder belts. Never use this type of belt with a seat that has an integrated head rest that would require the shoulder belts to be routed around the outside of the headrest. The rear passenger seats must not be used while the DRIFT belt is installed. The Bolt-On version generally bolts to the existing factory mounting points for the front lap belts. 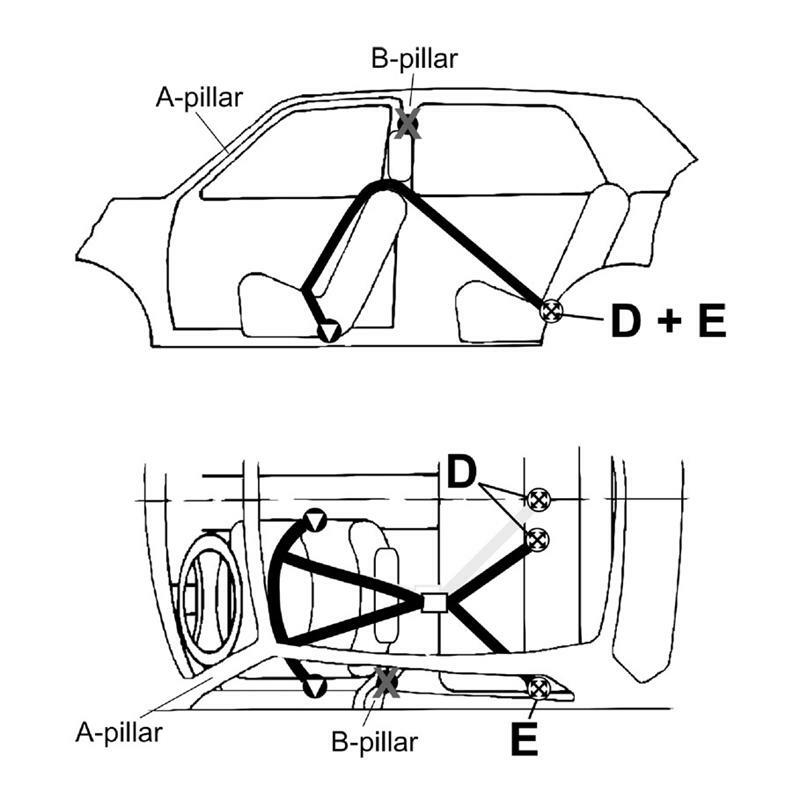 The shoulder belts generally mount either to the rear “D” and “E” lap belt mounting points OR they can be wrapped directly to a roll-cage or harness bar.